During the Second World War, as a child, I observed great abuses on the Polish population done by the German Police Squad (SS Gestapo). These abuses I saw in concentration camps where I was detained because my parents did not want to accept German identity. For many years, I was living in detention camps with children who were the object of many abuses. Every morning, we collected the deceased children for cremation. When I observed highly educated German SS officers, very well dressed and fed, I started as a child to think why such people can perform such great crimes on us, and I concluded as a child, that there must be something missing in their spiritual, moral life. I said to myself that if I lived and became free, I would dedicate my life to Christ as a priest to heal the spiritual life of this highly educated class of people. In 1950, I entered the seminary in Wroclaw, Central Poland, and I finished my undergraduate studies in 1955 and was ordained. In the first year of my priesthood, I became sick with tuberculosis. During communism, priests faithful to the church were punished by the government by withholding food, heating supplies and levied very heavy taxes. Where I was living as a priest, the pastor did not have enough money, food or heating supplies, and in 1956, in my first year of priesthood being 23 years old, I contracted tuberculosis. My Bishop, Anthony Pawloski, knew the priest Karol Wojtyla in Krakow, the gateway to the Polish Mountains. As a priest, I could not go to the national sanatorium. There was a belief that being in the mountains and having good food, I would be cured. 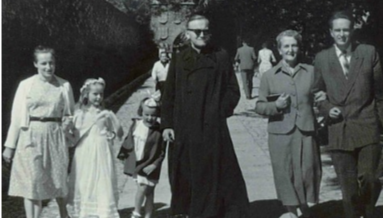 Therefore, my bishop from Wroclaw, Central Poland, asked his friend, Karol Wojtyla, to place me in the mountains in the Town of Zakopane, and he had it done very quickly. 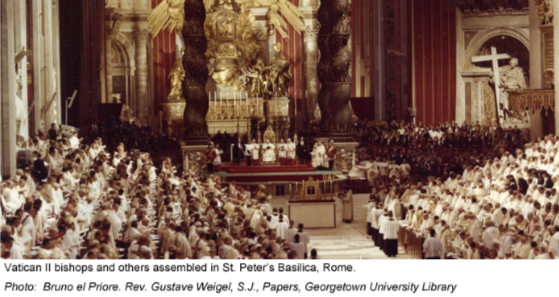 This was the beginning of my friendship with the St. Pope John Paul, II. Each time when he was in Zakopane for days of rest and relaxation and when I was feeling better, he took me for a walk in the hills. When I was well, he started to walk with me in the mountains, skiing and hiking. · When we were climbing, we were thirsty and looking for fresh water. He told me to look for difference of stream coming out from rocks and river in the valley. There is pure water, and in the valley, it is mixed with dirt. Therefore, always go to primary resources. This would be the scriptures and writings of the Father of the Church. Theological teachings would be a secondary resource but would be the personal opinions of the writers. When we were descending from the peaks of the mountains to go home, he stopped, and he used to say, “observe the difference between the peak of the mountain and valley.” The peak is in the sunshine, and the valleys are in darkness. Therefore, keep the high quality of moral life in the parish community where you can reflect Jesus’ life in the valleys of human sufferings. When St. Pope John Paul II became Auxillary Bishop to Cardinal Sapiecha in Krakow and later, Archbishop Sapiecha of Krakow, the dignity of cardinal function, he did not change his relationship to me and others. He recommended to my bishop that I be sent to graduate theological study in France or Italy. I fulfilled all requirements for graduate and post graduate studies in France in 1968. During my theological studies, we were obligated to give time as Secretary to Theological Commissions in the Vatican during Vatican II. I was privileged to meet Cardinal Dearden when he was presiding over the commission working on Lumen Gentium, and I was also working for him. He later recognized me when I came to Detroit. In France, I received an award for my post graduate studies, and I used it for archeological studies in Jerusalem where I finished my dissertations on the archeological digging referring to St. Peter’s house in Capernaum. From Jerusalem, I came to the United States and was teaching at Orchard Lake Seminary, St. John Seminary in Plymouth, Madonna College in Livonia and the University of Detroit in Detroit. In 1970, Fr. Esper invited me to celebrate 6:15 AM Mass in the Chapel and from that time on, I have been affiliated with the St. Hugo parish. In 2001, Msgr. Tony asked me to take care of sick persons under the leadership of St. Lucille and to help with any pastoral needs here at St. Hugo. I am very happy and joyful that my old hands are still useful and creative for Jesus’ activities in this community.